The Captiva Elite features six upright seats are serviced by strategically placed massaging helix jets. Jets are placed to service the upper back, lower back, sides, lower legs and feet. 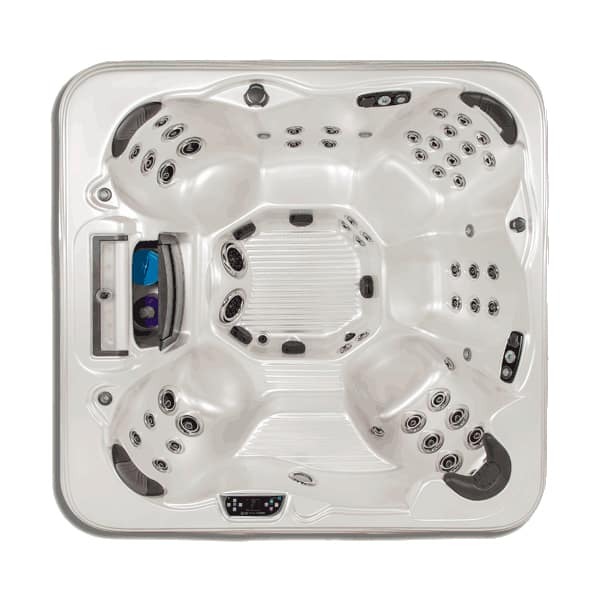 The lower legs and feet are serviced by footblasters, which are not available on the standard Captiva Spa. Other Elite upgrades include two captain’s seats, which are controlled by easily accessible DirectFlow control technology. These allow the single spa users to control their personal level of massage pressure by adjusting with spa-side controllers. The last Elite upgrade is a lengthier warranty time. The standard Captiva hot tub comes with a 2-year warranty on parts and services, and the Elite version comes with 5 years of warranty on parts and services. The Captiva Elite is built to house even more upgrades and personalization. The entire list of optional add-ons is viewable below.